Alerts by email, configuration backup and change history. 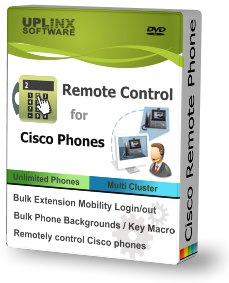 Remotely control Cisco phones from your desk. Reports on each registered phone for asset and inventory management. Track phones and collect serial and status reports. Provide a consolidated, feature-rich and customisable directory. presence details - Correctly, first time, every time. 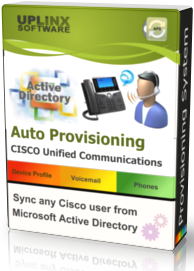 # Sync any user telephony setups from Active Directory. # Automated, cost-effective service provisioning. Identify, report and delete unused objects. Fully functional and FREE. Smart Console to setup Cisco end-users configurations within seconds. Correctly, first time, every time. 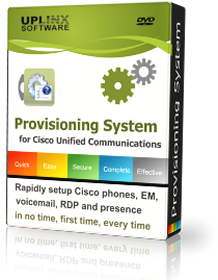 Automatically provision any Cisco end-user configuration based on Microsoft Active Directory. 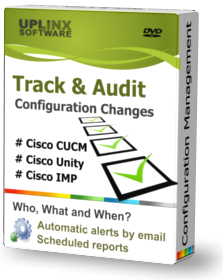 Automatic configuration management and change tracking for all Cisco UC servers. 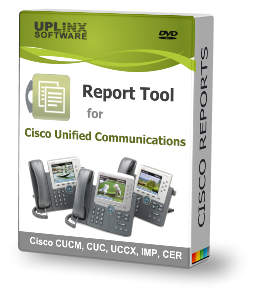 In no time, generate comprehensive documentation and reports for Cisco Unified Communications. 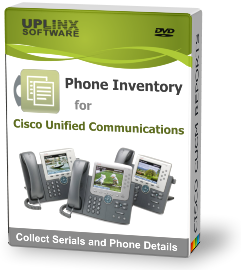 Control any Cisco phone from your desk. Tools for ITL Erase & status, background images, Ext. Mobility. Generate instant reports on registered phones for asset and inventory management. 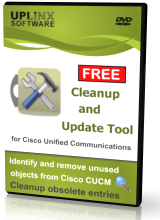 Cleanup Cisco Unified Communications Manager by reporting & deleting unused items. 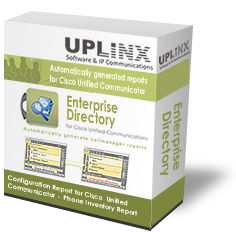 Provide a consolidated, feature-rich and customizable directory on your Cisco phones.